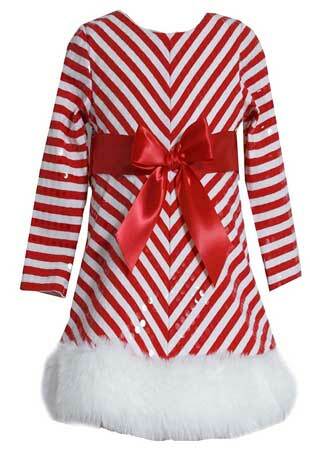 The Bonnie Jean little girls Christmas Santa dress features sequins and mitered stripe overall. 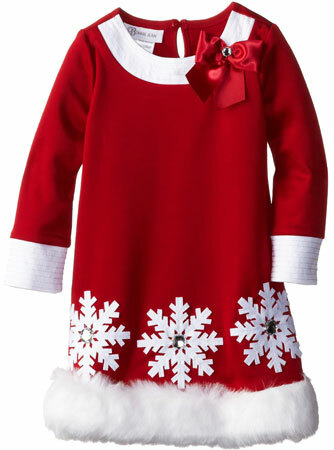 It also includes red satin sash and bow trim at waistline, and wrap around bow tie on back, white Santa faux fur trim at the inserted hem, round neckline, a single button back closure. It is made of 95% cotton and 5% spandex. Only drawback it runs a little tight in the upper area. 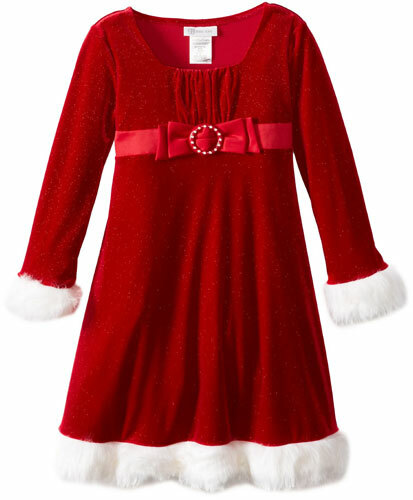 About 81% of customers said that this Bonnie jean Santa dress fits as they expected.